Your New At Home Career Review - YES It's A Total SCAM! Your New At Home Career Review – YES It’s A Total SCAM! Hi, and welcome to my Your New At Home Career review! I am so glad you’re here! A massive well done to you for doing your research before paying for any online program that claims you can make fast and easy cash. This is the best way to avoid work from home scams and get to the legit ways of making money online. So what about Your New At Home? Is it yet another get-rich-quick scheme that’ll get you nowhere or is it a real work from home opportunity you should grab with both hands? What Is Your New At Home Career? Can you make money with Your New At Home career? Is Your New At Home career A scam? If you’re ready, let’s dive in and get started! Greg Thomas promises you’ll be making $1,000’s within 24 hours by simply clicking your mouse a few times but in truth, Greg Thomas is a fake name used by this scammer to disguise their true identity. On top of the extremely misleading sales tactics, they don’t tell you you’re going to have to pay out an additional $400-$500 for paid advertising if you want to follow their training. I say ‘training’, but I feel this is giving them more credit than they deserve – it’s really just a few YouTube videos thrown together and labelled as a course. It’s blaringly obvious the guys behind this program have no desire whatsoever to actually help you succeed online and their only intention is to get as much money out of you as possible. Your New At Home Career makes some pretty crazy claims… it calls itself a way to supplement your income and earn an extra $5,000 to $30,000 a month within 1 week of starting. Someone calling themselves Greg Thomas says, follow this system and earning this kind of money is not only possible, but easy once you know exactly what to do. Apparantely 100,000’s of people are already doing it and ‘making a killing’ using this simple technique. We’re told no previous experience is necessary as it’s a 100% legitimate and easy to follow system that you can get started with by clicking your mouse a few times. He tells us in great detail about how he got his girlfriend pregnant while at college and had to work 3 jobs, working over 100 hours a week and sleeping just 4 hours a night. He ended up breaking up with his girlfriend ‘Stephanie’ and falling into depression. Greg then started researching and looking for a way to make money online. He desperately needed to catch up on child support, provide for his daughter and ‘become a better man‘. He tried online surveys but says this was a huge timewasting exercise as he was giving up his time and personal information for just $1.35 an hour. Next he tried professional blogging. He says he chose a domain name, created a website on a topic he was interested in and wrote 100’s of articles but saw no results and quit. 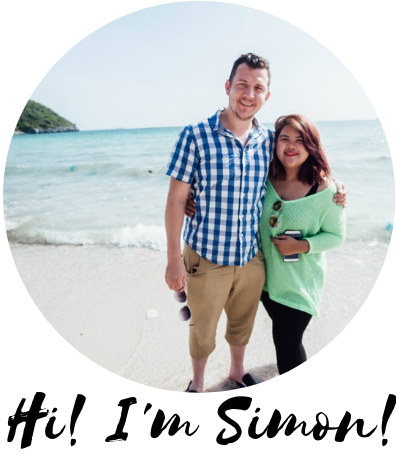 He suddenly found a revolutionary new way of generating an income online and he made £297 on his first day and £406 on his second. Greg says he soon hit 5 figures and finally ‘stepped up as a man’ and finished paying off his overdue child support and was finally able to buy his daughter some clothes. I had no choice, to find out what was really going on here beyond the hype and ridiculous stories, I had to try it for myself. Once you’ve given your credit card details and paid up, you’re taken to the member’s area page which has a 2 minute welcome video. Less than a minute into this and I already know this is utter garbage. Next up, I’m strongly encouraged to call my ‘personal success coach’, I definitely would not recommend doing this. I click to go to the next screen and I’m shown a big pop up again, telling me to call my the success coach. Once on the next page, the first ‘training module’, step 1 or 3 is again… to call my personal success coach…! Can you a pattern emerging here? After reviewing 100’s of low quality make money online programs like this I know that far from helping you succeed, these calls are solely used to get as much money out of you as possible by getting you to buy their higher priced upsells. I really should say that when I’m using words like ‘training’ and ‘lessons’ here, I mean that in the loosest way possible – each step has just a 2-3 minute and a single paragraph giving very limited information with random videos pulled from YouTube. It’s obvious to me that the only purpose of this so-called training is to sell you on buying a monthly website hosting service at $3.95 a month and website traffic at $100 – $599 a time so the owners of Your New At Home Career can make a commission from you. No, not at all. Worse than that, follow this training and you’re going to lose an extra $500 trying. They’re basically telling you to sign up to sites like ClickBank, JVZoo and ClickBetter as an affiliate so you can promote their products for a commission. Your New At Home career then recommend you to pay a site called MaxVisits to send visitors and traffic to your offers. Be warned: this comes with a price tag attached. You might think this is a sound business model but in truth, you’re going to have to lay out a lot of money and the chances are you’ll make absolutely nothing back. Generally, you’re not going to get any conversions out of Max Visits. I’m making a blanket statement here, though, and I realize that some people very well will get conversions. You’re just not going to get a very high conversion rate, if you get any conversions at all. In my experiments, I didn’t get any conversions. MaxVisits also has a ton of negative reviews on sites like TrustPilot.com with people accusing them of sending fake ‘bot’ traffic and despite people paying out $100’s, don’t even make 1 sale. Your New At Home Career teach dodgy, blackhat tricks and methods at’s known as rogue affiliate marketing. It’s not only expensive – it just doesn’t work. Rather than making the $30,000 a month they promise you, the truth is you’re going to struggle to make a single cent from this. Yeah, I seriously doubt he even exists. The training is done by somebody else entirely and in typical scam-like fashion – they’re using a fake name to hide their true identity. Who are you supposed to contact for a refund? Sure, he can tell us there’s a 60 day money back guarantee but who is he?? When someone professes to be able to make you $1,000’s a day but chooses to hide behind a cloak of anonymity, loud sirens should go off in your head that this is not a legitimate work from home opportunity. Underneath the sales video on YourNewAtHomeCareer.com you’ll see a dozen of videos from people claiming to have had huge success within the first few days of implementing the Your New Work At Home training. The only problem is these are 100% fake. There are no real success stories because this program doesn’t work, so the creators of this bogus program have to go to sites like Fiverr.com and hire actors who are willing to say whatever you tell them to say for $5. You’ll see fake tricks and tactics used across the site to try and convince you this is a ‘limited time offer‘ or that they’re are only a ‘few places left!‘. Don’t fall for it. Just hit refresh on the page and you’ll see the numbers reset. This is just a cheap trick used by scammers to try pressuring you to hit the add to cart button before thinking too much about it. I don’t say this lightly, but with this program it really is that simple. The only time they’ve actually gone to the effort of making a 2 to 5 minute video is when they want to show you how to sign up for something like web hosting, paid website traffic or an email autoresponder service so they can make a commission out of you. It’s clear they couldn’t care less whether you succeed or not, as long as they’ve managed to squeeze as much money out of you as possible. So instead of getting a done-for-you system at $47, you end up paying a lot more in the end. Put simply: follow their training and you’ll be $500 worse off. Yes, Your New At Home Career is definitely a scam in my opinion. I hope I’ve shown you enough to convince you to stay away and keep your money. And the thing that really gets to me is how they use Greg Thomas’ rags to riches sob story to target those people in some of the worst financial situations claiming this is some kind of quick and easy miracle solution to all their money problems when the truth is this will only make things worse. You Deserve To Be Successful Online! I honestly mean that. There are tons of legitimate ways to make money online but Your New Work At Home Career is NOT one of them. You can do way better than this short and crappy course that’s been thrown together with a few random YouTube videos! In 2014 I decided to build a real online income for myself and now earn more than $7,000 a month because I followed this free beginners course. It will take you by the hand and guide you through exactly how to build affiliate marketing websites the right way. There’s no upsells, no hype and no need to pay for advertising either because you’ll learn how to attract daily free and organic traffic through search engines like Google. Unlike Your New At Home Career, this is an actual training course with step-by-step lessons with full community support that I know you’re going to love. I’m not going to promise you’ll learn $1,000’s in your first day because real life doesn’t work like that, but follow the training and take massive action and you WILL make your online income goals a reality. The best part? This beginner’s training course is 100% free! I’m STUPID I unfortunately fell for this, not only did it NOT send me to the “CONGRATS” page, I have NO WAY to reach them. If anyone knows how to contact them for a refund PLEASE PLEASE let me know! THANK you..and DON’T FALL FOR THIS! Oh man, this looks awful. I’m glad you were able to see right through the scam pretty quickly. That’s too bad that there are probably thousands of people out there who lost money on this. However, (and I’m not saying it’s their fault) get rich quick promises require immediate skepticism. Nothing worth pursuing comes without any blood, sweat, and tears. I can imagine that many of these people were desperate and I cut them some slack because I get what it’s like to be desperate and grasping at straws for anything that might help even a little. But spending hundreds of dollars on a program promising thousands in just 24 hours….I mean, if it were that easy, everyone would be doing it! I myself have fallen for many a scam so I know how easy it is to be sucked in by their incredible promises of limitless wealth! Sometimes you’re so desperate you’re willing to believe almost anything and these scammers are professionals at what they do. They know just the right words to use to press at your heart strings. All that talk about “finally being a man” and “providing for his family” etc. is just pure manipulation and I hate the fact they prey on those in dire financial straits. As I always say, if this review helps at least 1 person avoid this scam then it’s worth it. What a scam! I can’t believe they just used the same name from the older product. That’s crazy, especially for that price! Youtube! Are you even kidding!!! They can’t even be bothered to make their own videos. So the whole thing is that they want you to convince robots to buy off your content-free site and have you pay $500 a month to do it. Sounds legit! Exactly! I was shocked when I got inside the member’s area! There was literally a couple of YouTube videos with a sentence or two underneath… and as I showed in this review, the videos had names of previous scams on it like ‘Ultimate Home Profits’. It’s unbelievable right? This is probably one of the ‘laziest’ scams I’ve seen so far (and I’ve reviewed 100’s) where the con artists can’t even be bothered to put in the energy to put a decent course together that’s at least going to be semi-helpful. Completely obvious this guy is only interested milking you for all your worth, you’re just a cash cow to him who he needs to exploit to the fullest. Even if this review just stops 1 or 2 people from handing over their hard-earned cash it’ll be worth it! it never ceases to amaze me the amount of scammers out there and how they are able to con people out of their money. I have always believed that if it sounds too good to be true then it most likely is. In addition to that I firmly believe that there is no such thing as a get rich quick scheme. The internet is not a magic tool that will make you rich overnight and only if you approach an online business with commitment and a hard work ethic, you will not succeed. Thanks making us aware of another scam. Thank you Rich and I couldn’t agree more. If you really want to make money online then you have to leave that old “get rich quick at the click of a button” mentality and stop looking for systems, machines, magical software etc. that promises you bucket loads of cash overnight while you sleep. Any real business, whether its online or offline takes dedication and effort to succeed. I earn more than a full-time income online but it wasn’t quick or automatic. I had to work hard for 6 months before I earned anything, but then it starts slow and builds and now I make money every month whether I work or not. I’ve been scammed far too many times before so I know it’s easy to be sucked into paying for something that is too good to be true, so now I always do my research beforehand and this review is great, thank you for this helpful information. It’s too much of an investment and I decided I’m not going to do it. I guess you’ve really got to be careful out there. I will look at your recommendation. Hey Jayde, thanks for checking out the review and I’m so glad you didn’t lose any money on this. I 100% agree – if more people did their research and due diligence then they’d be a lot less people out there getting scammed by shoddy programs like this. Rest assured Jayde, I only ever recommend a program that I’m using or have used, that I’ve got real results from and that have a free Starter membership so you can see how the whole thing works before ever paying anything. My top recommended affiliate marketing training isn’t for people looking for a get-rich-quick scheme, but for people willing to put in the time and effort itt akes to build a real online business that’s both profitable and successful. Stay safe online and I wish you every success!